Looking for a Private Equity Job in NYC? There are currently more than 160 hedge funds in New York with open job positions. A complete list of hedge funds in New York, along with their current hiring status, can be found in our New York Hedge Fund / PE List. This list contains more than 1,000 hedge funds and private equity firms in New York along with detailed information designed for job seekers. Each listing includes more than 40 categories of information on each company including address, phone/fax, website URL, top executives, multiple email contacts, HR contacts, AUM and hiring status. The above is just a partial list of the more than 162 hedge funds and private equity companies in New York that are currently hiring. 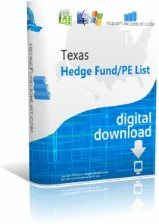 Download our NY Hedge Fund / PE List for detailed information on these and more than 1,000 other hedge funds. Our New York Hedge Fund / PE List is the only hedge fund list designed specifically for job-seekers. Whether you are looking for a job as a private equity Associate or any one of a number of other private equity jobs, our list is the ultimate resource for finding and securing a private equity job in NY. Looking for a Hedge Fund Job in NYC? There are currently more than 160 hedge funds in New York with open job positions. A complete list of hedge funds in New York, along with their current hiring status, can be found in our New York Hedge Fund List. This list contains more than 1,000 hedge funds and private equity firms in New York along with detailed information designed for job seekers. Each listing includes more than 40 categories of information on each fund including address, phone/fax, website URL, top executives, multiple email contacts, HR contacts, AUM and hiring status. The above is just a partial list of the more than 162 hedge funds and private equity companies in New York that are currently hiring. 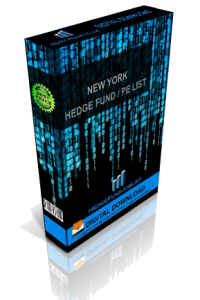 Download our NY Hedge Fund List for detailed information on these and more than 1,000 other hedge funds. Our New York Hedge Fund List is the only hedge fund list designed specifically for job-seekers. Whether you are looking for a job as a hedge fund Analyst, hedge fund Associate, or any one of a number of other hedge fund jobs, our list is the ultimate resource for finding and securing a hedge fund job in NY. Looking for a list of hedge funds in NY? Our NY Hedge Fund List contains more than 1,010 hedge funds and private equity firms in New York. 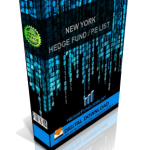 Check out our New York Hedge Fund List today and find over 1,010 hedge funds in NYC! ZS Fund is a private equity company based in New York, NY and was founded by Ned Sherwood. ZS Fund has 8 employees. Zephyr Management is a hedge fund company based in New York, NY and is led by its Managing Director, Brian Kim. Zephyr Management has $1800 million in assets under management (AUM). The company was founded in 1994. York Capital Management is a hedge fund company based in New York, NY and was founded by James Dinan. Their primary investment strategy is Event Driven. York Capital Management has $18148 million in assets under management (AUM). The company was founded in 1991.